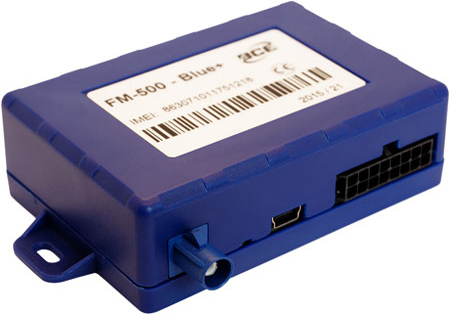 The FM-500 Blue+ vehicle tracker by BCE (Lithonia) provides CAN connectivity and supports the FMS (fleet management system) application profile. THE GATEWAY WITH GPS/GLONASS AND GSM connectivity is designed for object tracking. It is able to acquire information on object location, speed, direction, etc. and transfer the data via GSM. Digital and analog inputs of the device can be used to connect different external sensors/devices. Outputs of the device can be used to control external equipment remotely. The product is able to read FMS messages via the CAN interface, which supports the SAE J1939 application layer. Additionally, the SAE J1979 diagnostic protocol is understood. By means of configuration, the user can adjust the device to meet specific requirements. It features a 4-MiB internal memory for up to 150 000 entries. The vehicle tracker mainly scans the CAN in-vehicle messages. “But in some cases it sends requests to the CAN network, in order to retrieve some parameters,” said Andrius Miglinas from BCE.